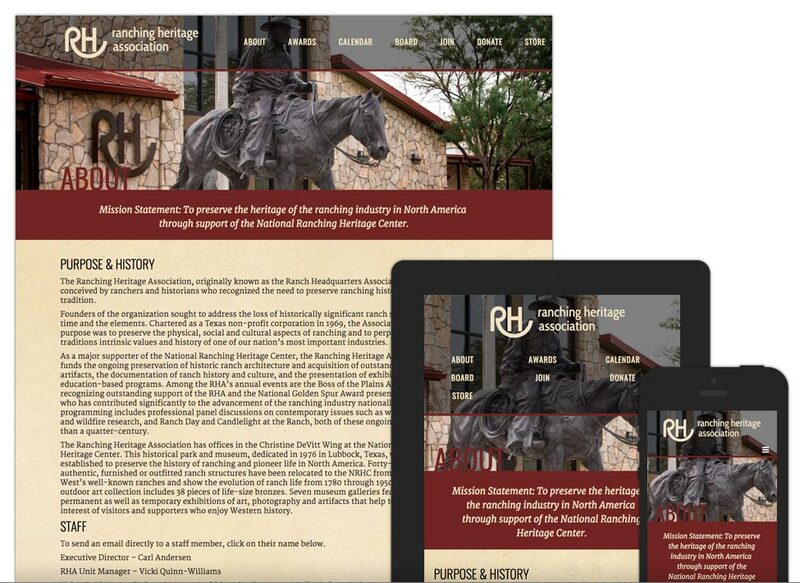 The website design for the National Ranching Heritage Association serves as a mobile-friendly portal for the public to interact with this local gem. It also is a vital tool for the staff that need to keep the site updated with fresh content and numerous online registration and donation forms. They do this through a CMS (content management system) that helps them stay on top of their online presence.